Specially designed for air ducts with a height in the range of 600mm ~ 1,500mm. 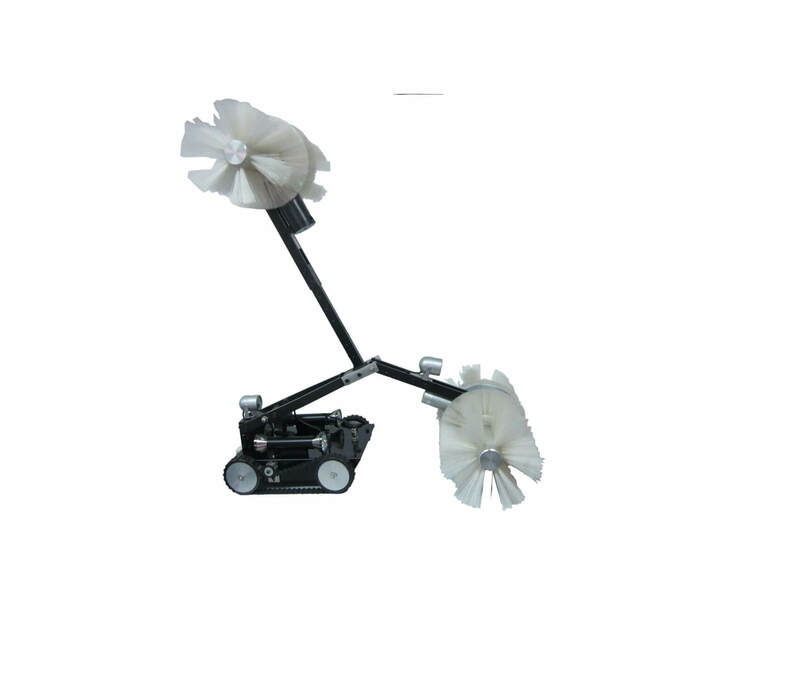 This robot can be purchased either individually or you may purchase the mechanically driven extending arm which would fit into the Standard Automatic Robot that you have purchased in order to minimize your capital outlay. Other Specifications are the same as the Standard Automatic Robot. Size of Air Ducts to be cleaned: Height 600mm ~ 1,500mm (with lateral rolling or rotating brush) x width (no limitation). Video Recording & Illumination: Double front and rear, 420 lines, industrial grade, infrared color video camera. The front camera is 360° auto rotating, 180° adjustable tilting. Four (front and rear) scatter type high intensity illumination (3Ls - long life, low temperature, LED).